Almost a year after it rolled out on Google Chrome, dark mode is coming to YouTube’s mobile app. In a brief post on a YouTube support page, the company detailed how to use dark mode on mobile and where exactly it’s available. So far, only iOS users will be able to turn on dark mode (though it’s reportedly headed to Android “soon”), which they can do using a toggle in the app’s Settings. Dark mode has a few advantages. It’s gentler on the eyes, which could encourage users to spend more time on YouTube’s mobile app and possibly let them sleep easier. It also helps conserve phone batteries, which use a lot of energy to keep a bright screen illuminated. Back in January, Mac Rumors reported the initial test of dark mode on iOS after a Reddit user found the feature in his recently updated YouTube app. At the time, the feature wasn’t made available to all users, nor was it officially announced by the company. YouTube’s app certainly isn’t the first to get dark mode. Twitch introduced dark mode on its mobile apps—both Android and iOS—in January 2017. Twitter’s app offers the feature, and so does Kindle’s. 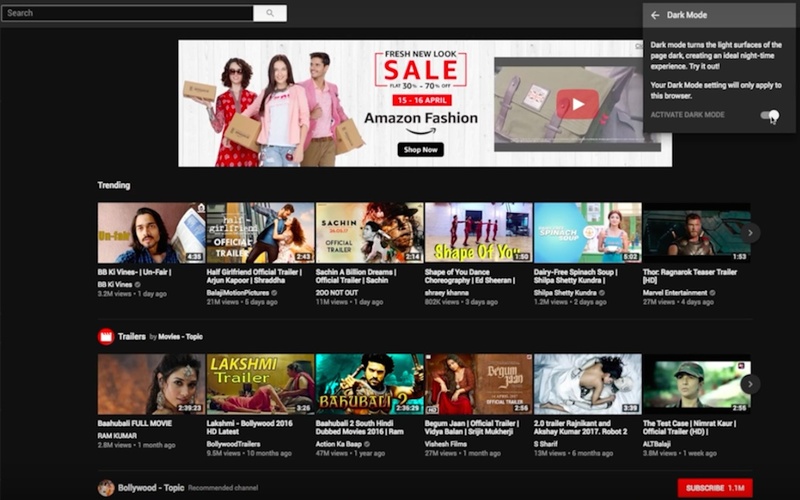 According to YouTube, users have been requesting the feature since the desktop version debuted in 2017.